One of NASA’s ultimate goals for the Space Launch System (“SLS”) Program is to empower humanity to take our first steps on Mars and begin our species’ quest to become an interplanetary colonizing society. Popularized as the “Horizon Goal” by the National Research Council, NASA’s journey to Mars will be the result of a decades-long plan that will progress through three primary phases: Earth Reliant, the Proving Ground, and Earth Independent. Currently, NASA is still in the “Earth Reliant” phase with a focus on learning more about the effects of prolonged stays in space on the human body. In this phase, NASA is gaining a better understanding for the “physiological and psychological effects of [long-term] spaceflight.” Typically, these missions will be carried out on locations in near Earth orbits (e.g., the International Space Station). Concurrently with these missions, the SLS Program will enable NASA to embark on the next phase of its plan for Mars: Proving Ground. During the Proving Ground phase, NASA’s first missions for the SLS Program will train astronauts for the long-distance journey to Mars. For this purpose, the Moon will serve as the perfect training grounds because the days-long trip to the lunar surface will enable NASA to bridge the gap between, relative to Earth’s surface, the hours-long distance of the International Space Station and the months-long distance of the Martian surface. While many of these SLS missions, formally known as Exploration Missions (“EM”), are still being planned, details are emerging for the first three potential SLS missions: EM-1, the Europa Clipper Mission, and EM-2. Designed to be the maiden voyage of the SLS Program, Exploration Mission 1 (“EM-1”) will be an unmanned test of SLS’s capabilities for deep-space exploration. 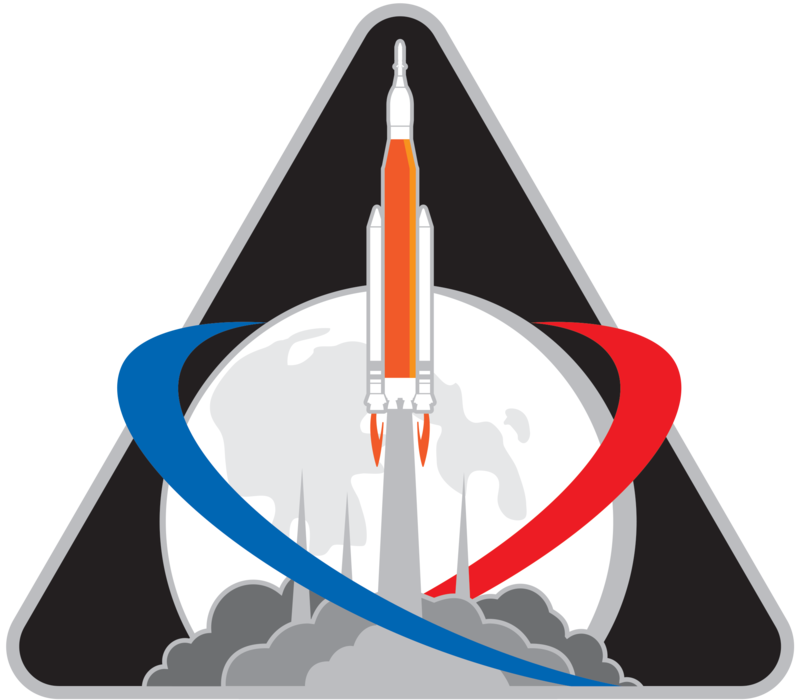 Launching from Launch Complex 39B, SLS’s Block 1 configuration with a modified Orion crew capsule will be used for EM-1. As a test for the very basic systems of the Orion, the crew capsule will not be retrofitted with any radar, life support, docking, or crew facility equipment. The lack of these systems will dramatically reduces the lift requirements, allowing NASA to launch EM-1 with an Interim Cryogenic Propulsion upper stage rather than the to-be-developed Exploration Upper Stage. While EM-1 will deploy several secondary CubeSat payloads, its primary objective will be to enter into and spend six days in a retrograde orbit (a fancy term for an orbit counter to the object’s spin direction) around the Moon. EM-1’s total mission time from launch to splashdown in the Pacific Ocean will be about 26 days. Unfortunately, like the SLS Program itself, EM-1’s launch date has been slipping. It’s now projected by NASA to launch no earlier than mid-December 2019. But, more realistically, the Congressional Research Service predicts that this launch date will likely to be in the first half of 2020. The Europa Clipper is an unmanned orbiter that is designed to study Europa, the smallest of the four Galilean moons circling Jupiter. Through 45 flybys around Europa, the orbiter’s primary objective is to study the habitability of Europa and to collect data for potential landing sites. These data will be used in the preparation of an eventual mission that will take a lander onto the surface of Europa to search for the presence of life. The Europa Clipper also has the distinction of being the only NASA mission in which Congress mandated the launch vehicle the orbiter must use. Through the 2016 Consolidated Appropriations Act, Congress dictated that NASA “shall use the Space Launch System as the launch vehicle for the Jupiter Europa mission, plan for a launch no later than 2022 . . . .” Although written into law, nobody actually knows what the consequences are if SLS isn’t used as the launch vehicle. The harshest penalty that some have conjectured is that Congress will be able to pull the funding appropriated for the Europa Clipper, an unwise political move that is unlikely to happen. If SLS is used as the launch vehicle for the Europa Clipper, it will likely be SLS’s second mission and will be flown using SLS’s Block 1B configuration. Should this be the case, the Europa Clipper will serve both as the inaugural and certification flight for SLS’s Exploration Upper Stage, the success of which will pave the way for the first manned flight of the SLS Program. Although Congress also mandated that the Europa Clipper must launch no later than 2022, this launch date will likely slip as well. The issue here is that the Europa Clipper will also be launched from Launch Complex 39B, which will require a 33-month operational stand-down after EM-1’s launch. This 33-month period will be used to reconfigure the launch complex’s mobile launch structure to accommodate the change in SLS’s upper stage between Block 1 and Block 1B configurations; the mobile launch structure will need to be redesigned, elongated, and strengthened to support the realignment of access points and propellant feeding tubes for the longer Exploration Upper Stage. Since EM-1 will likely launch in the first half of 2020, the earliest launch date for the Europa Clipper will likely to be in 2023. Additionally, since there are only a few launch windows available each year for a direct-to-Jupiter flight plan, if there are any construction delays, NASA might need to push the launch date out even farther. Assuming the successful certification of the Exploration Upper Stage via the Europa Clipper, Exploration Mission 2 (“EM-2”) is envisioned to be the first manned flight of the SLS Program. EM-2 is designed to launch on the Block 1B configuration, but its mission objective changed in 2017. Prior to 2017, EM-2 was designed to be a lunar asteroid mission. A crew of up to four astronauts would first perform two orbits around the earth before sailing toward the moon on a free return trajectory. While in lunar orbit, the crew will visit an asteroid captured by an earlier Asteroid Redirect Mission (“ARM”) before returning to earth. This mission, planned under the Obama administration and projected to last between eight to 21 days, will test NASA’s capabilities to become Earth Independent. The asteroid will prepare NASA for an eventual Mars mission by validating advancements in technologies related to spacesuits, tools related to rendezvous and docking capabilities, and techniques related to sample collection and containment. With the end of the Obama administration, EM-2’s mission objectives changed in 2017. The Asteroid Redirect Mission is no longer in the works. This decision was music to the ears of many critics, including the National Research Council, who saw the mission as an expensive waste of resources and not on the critical path for humanity to reach Mars. While EM-2 will still take a crew of astronauts to the moon, instead of visiting an asteroid, it will deliver the first component of the Deep Space Gateway (“DSG”) to the lunar orbit. (Update on 3/14/18: NASA's 2018 Budget Proposal has renamed DSG to the Lunar Orbital Platform-Gateway ("LOP-G")) Similar to the International Space Station circling the Earth, DSG will be placed in an orbit around the moon. The station will serve as a staging base for deep space exploration missions and a testing and proving ground for advancements related to deep space travel. EM-2 will carry and launch the “Power and Propulsion Bus” component of the DSG, with later Exploration Missions delivering other components such as a habitation module and a robotic arm. EM-2 is projected by NASA to launch no earlier than June 2022. But, since the Europa Clipper, which will serve as the unmanned test flight of Block 1B, is likely scheduled for launch in 2023, EM-2’s launch date most likely will slip to 2024.